Each year, Theta Epsilon Omega Chapter awards a four-year scholarship, totaling up to $4,000, to a graduating senior in the top third of his or her class. Other eligibility requirements include: a completed application; an official transcript with ACT or SAT scores; a letter of recommendation from the student's guidance counselor and teacher of an academic subject; and a typewritten autobiographical essay. Prior to receiving the scholarship, the applicant must verify acceptance to and attendance at an accredited post-secondary university or college. The student must also maintain a C+ average throughout college to keep the scholarship. The children of Theta Epsilon Omega Chapter members are ineligible to apply. The availability of applications are announced each year in February and are due in April. Please check this website's homepage for the announcement and to download the application. The Audrey D. Holmes Scholarship, founded by The Holmes Family in memory of Ms. Audrey D. Holmes and administered by Alpha Kappa Alpha Sorority, Incorporated, Theta Epsilon Omega Chapter, is awarded to a University of New Haven female, undergraduate sophomore who has declared a criminal justice major. Ms. Holmes believed that having a strong educational foundation was the key to success. She received her BS degree in Criminal Justice from Northeastern University, Boston, MA. For 28 years, she worked for the Connecticut Department of Corrections and Board of Pardons & Paroles. She was appointed to the Board of the Emergency Management Shelter and has chaired various committees. Since 1995, she remained an active member of Alpha Kappa Alpha Sorority, Incorporated, Theta Epsilon Omega Chapter, holding the positions of Graduate Advisor and Sergeant-at-Arms. As a Graduate Advisor of Xi Omicron Chapter, the undergraduate chapter whose membership includes students from the University of New Haven, she received the Graduate Advisor of the Year Award. Ms. Holmes also received a North Atlantic Regional appointment to serve on the My Sister’s Keeper Committee. Ms. Holmes was adored as a leader and mentor. The recipient of the Audrey D. Holmes scholarship must maintain a 3.0 GPA, be of African American descent, and involved in extra-curricular activities. Preference for this award is given to a student who is a resident of New Haven County. If, however, no student meets this criteria, the awardee shall be a resident of the State of Connecticut. This scholarship is awarded to the same individual during her sophomore, junior, and senior years as long as she continues to meet the above criteria. Should the recipient not meet the above criteria in either her junior or senior year, a new sophomore student shall be chosen. In recent years, Theta Epsilon Omega has been fortunate to increase the amount of the scholarship because of excellent fundraising years. We owe that to you for your support at our various fundraising events. As our application pool shows, there are many deserving students that need scholarships to help pay for their college education, and it is our hope to increase our fundraising dollars to expand our reach. Please donate to Theta Epsilon Omega Chapter's scholarship program to help deserving youth secure a better future. For more information and to apply for other academic scholarships, fellowships and community assistance awards, visit the sorority's Educational Advancement Foundation, Inc.
Lydia Ogbe, a 2018 graduate of James Hillhouse High School, is a freshman at the University of Connecticut, where she is pursuing a degree in Allied Health Sciences. During her high school career, she maintained honors; thus, she ranked second in her graduating class, earning the distinction of Salutatorian. She also received several recognitions, among these are membership in the New Haven’s Gear Up Program and the Most Outstanding Student Award in the Health Professions Recruitment and Exposure Program. 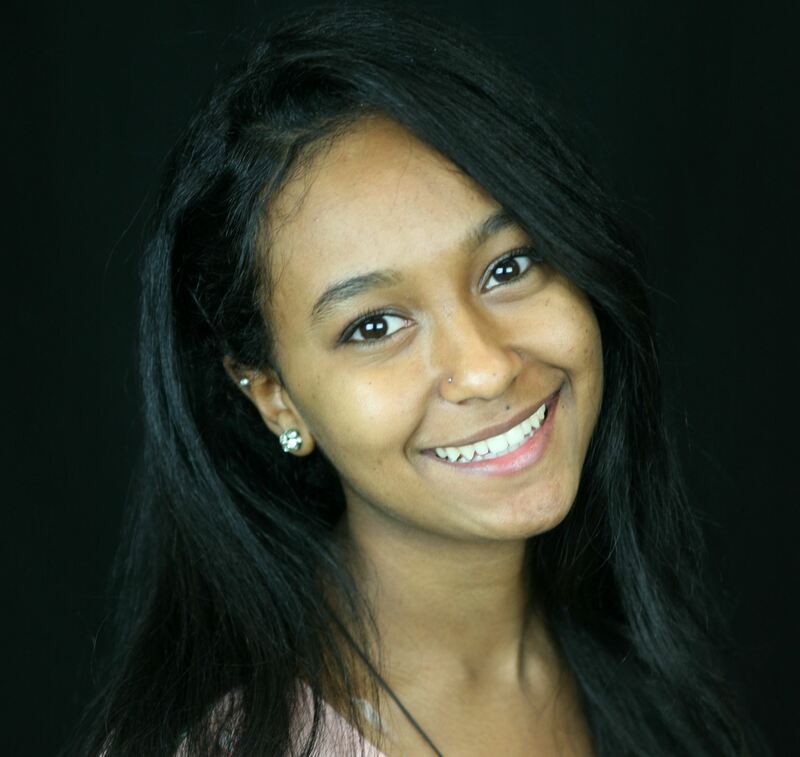 In addition, she was nominated to represent her school and the State of Connecticut at the Congress of Future Medical Leaders held in Boston, Massachusetts, and at the Global Youth Summit on the Future of Medicine held at Brandeis University. A well-rounded student leader, Lydia’s athletic ability gave her balance as she became a member of the Tennis and Track and Field Teams. She believes that giving back to one’s community is crucial to making a positive difference in the lives of others. This passion for service is evidenced by her participation in and commitment to various school and community activities. She was a science mentor, a Yale New Haven Hospital intern, and a member of the Branford Sports Club of the Disabled. With the help of the Yale University Global Affairs program, she organized a program that helps girls who are newcomers to the United States of America. Lydia’s career goal is to become a Physician.